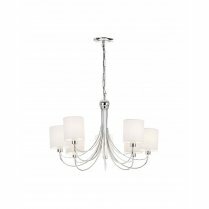 The Hardwick 3 Light Multi-arm Pendant from Endon has an antique silver finish and features 3 frosted glass shades. 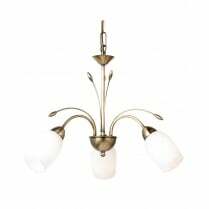 The body has a beautiful scroll design which will look elegant in any traditionally styled living room or dining area. 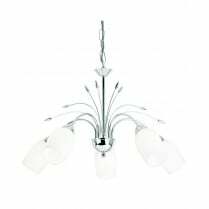 Matching 5 light pendants and wall lights available in antique silver or brass. 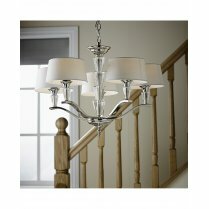 To view the full range, simply type 'Hardwick' into the search box above. 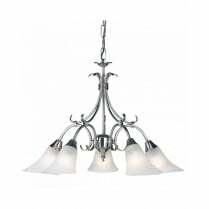 The Endon 144-3AS requires 3 E14 bulbs (Not Included). 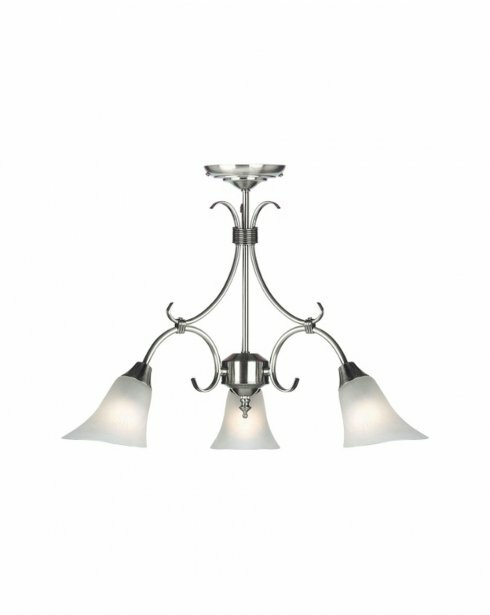 The maximum wattage (based on the standard bulb for the fitting) per bulb is 40W, for a total of 120. 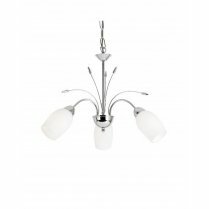 The brightness will depend on the type of bulb fitted, please see our bulb information page for comparing different bulb types.